Top 5 Reasons to Visit the Findlay CJDR Service Center! Accessibility: Tired of dealerships that aren’t open when you need them? You won’t have to worry about that here—not only do we offer Saturday service, we also open at 7 a.m. to help out the early birds. Convenience: At Findlay CJDR, we want to do everything we can to make your visit as pleasant as possible. That’s why we offer free WiFi in our lounge, so you can stay connected while you wait. And if you still have errands to run, you can take advantage of our available shuttle service to get where you’re going! Flexibility: We try our best to accommodate customers of all kinds. To that end, we have Spanish speaking employees to buff language barriers, and we offer car rentals for those whose services might take longer than a day. Quality: If you want nothing but the best for your beloved vehicle, don’t worry—that’s what you’ll get here at Findlay CJDR. Our certified technicians have been specially trained to handle your vehicle. In addition, we offer genuine Mopar parts and accessories, so you’re getting replacements you can depend on. Efficiency: Routine maintenance shouldn’t put you out of commission for hours on end. That’s why we offer express lube service, so you can change your oil and get back on the road in no time. 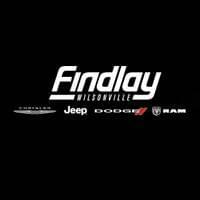 Bring Your Vehicle to Findlay CJDR Today! These are just a few of the reasons why the Findlay CJDR service center is one of the best in Wilsonville, and you’ll find even more to love when you pay us a visit. So whether you need intensive repairs or just routine service, you’ll be treated right when you choose us. Schedule a service appointment online today! And while you’re here, be sure to check out the Chrysler, Dodge, Jeep and RAM maintenance schedules.